The key character in the battle of the sexes was the heiress. She was often dizzy, saucy, flighty who fled from homes, jilted bridegrooms at the altar and generally carried on with total disregard for the existence of breadlines and unemployment. Thus, she was used humorously in screwball comedies as an object of contempt and ridicule. Of course, by the end of the film not only does the poor but practical hero snag the heiress but through him, she is also humanized to see normal life and normal people quite unlike herself. Chori Chori, a remake of It Happened One Night (1934), plays out this formula perfectly. The film, directed by Anant Thakur, is also a typical example of what constitutes a road film. While a popular genre in Hollywood, Hindi cinema has never really embraced this format and the efforts have been few – Bombay to Goa (1972), Dil Hai ki Manta Nahin (1991), which, incidentally, is also a remake of It Happened One Night or more recently, Dil Chahta Hai (2001). Perhaps this is so because the road is an enduring theme in American culture. The road movie in this regard is like the musical or the Western, a Hollywood genre that catches peculiarly American dreams, tensions and anxieties. Nevertheless, Chori Chori is a fun adaptation of its American predecessor and is one of the more enjoyable romantic comedies seen on the Hindi screen. 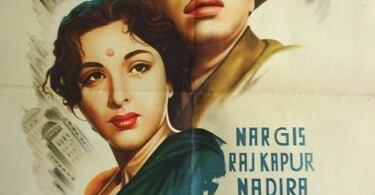 Talking of fun, Nargis is a revelation in the film as the dizzy heiress. She proves she can play screwball comedy as effectively as she could her intense dramatic roles. Just see her as the puppet in the Jahan Main Jaati Hoon song. It is Nargis’ sense of razor sharp timing that offsets her inability to dance and it is a sequence she carries off marvelously well just with her expressions. Raj Kapoor of course had inborn comic talent. He is absolutely perfect in the role of the impoverished journalist Sagar. Chori Chori marks yet another feather in Raj Kapoor’s illustrious acting career, while Pran does his familiar bad man turn with relative ease. They are more than strongly supported by the extremely strong comic element of the film – Gope, Johnny Walker and Bhagwan. Chori Chori represents some of the finest work of musical duo Shanker-Jaikishen in their entire career. The evergreen musical score, with lyrics by Shailendra and Hasrat Jaipuri, ensured Shankar-Jaikishen their first ever Filmfare Award for Best Music. The film has brilliant songs with each song better than the other. First and foremost are the two all time great Lata Mangeshkar – Manna Dey romantic duets, Yeh Raat Bheegi Bheegi and Aaja Sanam Madhur Chandni Mein Hum. With Mukesh trying his hand to be an actor, this was the phase when Manna Dey briefly sang as the voice of Raj Kapoor in films like Shree 420 and Chori Chori. As one hears Manna Dey, one cannot but think sadly that the film industry never really gave this great singer his due. He was always regarded a poor second to Rafi, Mukesh, Kishore, Talat or Hemant Kumar which is a pity because Manna Dey was such a fine singer with an extremely strong classical base himself. Lata Mangeshkar of course leaves her stamp on the film with perhaps her greatest sad song ever – Rasik Balma. It is perhaps technically the best composition of the film and the emotion and pathos with which Lata renders this song is unbelievable. Only such a gifted singer could give such expression to words like Lata could. On the other side, Lata is equally at home in the bubbly Panchhi Banoon Udke Chaloon Door Gagan Mein and the boat song Us Paar Sajan. The film, having a strong line up of comedians, is echoed in its music with the comic songs All Line Clear and Sawa Lakh ki Lottery. The film also sees an early duet by the Mangeshkar sisters – Lata and Asha – the wedding song Man Bhavan ka Ghar. Other songs include the Lata-Manna Dey duet Jahan Main Jaati Hoon, picturized in a rather innovative manner with Raj Kapoor and Nargis as puppets, and the ML Vasantakumari solo, Tillana. Chori Chori proved extremely popular at the box office. 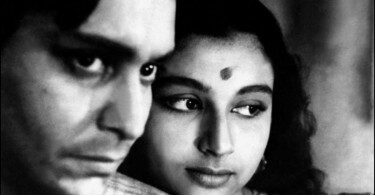 However, a glorious era of romance also came to an end in Indian Cinema. 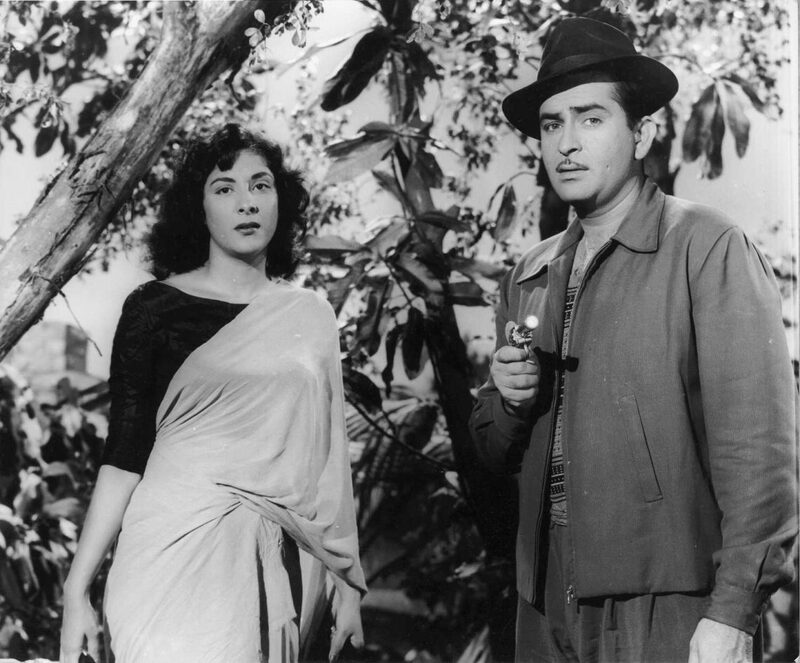 The film sees the last teaming of Nargis and Raj Kapoor. In spite of their incredible chemistry together, Chori Chori sees them paired romantically for the last time though Nargis did appear at end of Jagte Raho (1956) singing Jaago Mohan Pyare Jaago more as a final tribute to signify her collaboration with RK films. Nargis moved on to Mother India (1957) and settled down to a life of domesticity with Sunil Dutt while Raj Kapoor continued to act and make films with other heroines like Padmini and Vyjayanthimala.